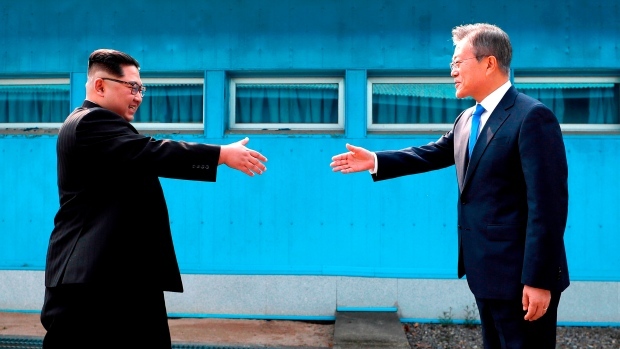 SEOUL, Korea, Republic Of -- South Korean President Moon Jae-in said Monday that he will push for "irreversible, permanent peace," and for better dialogue between Pyongyang and Washington, during "heart-to-heart" talks with North Korean leader Kim Jong Un this week. His chief of staff, however, played down the chance that Moon's summit with Kim will produce major progress in nuclear diplomacy. 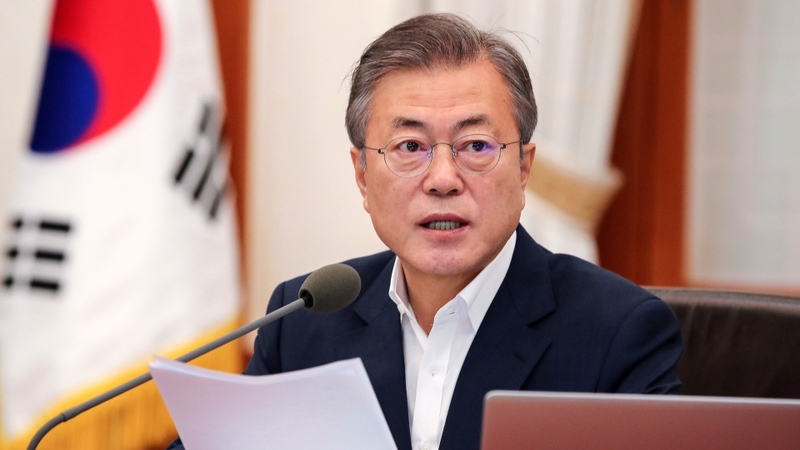 To achieve such a peace, Moon said he'll focus during the summit on easing a decades-long military standoff between the Koreas and promoting a North Korea-U.S. dialogue on denuclearization issues. The Koreas' 248-kilometre (155-mile) border is the world's most heavily fortified, with hundreds of thousands of troops stationed along a line that's laced with mines, barbed wire fences and anti-tank traps. The navies of the Koreas have fought several bloody skirmishes off the west coast of the Korean Peninsula.